Wondering how to build a backyard ninja warrior course? My daughters and I are big fans of American Ninja Warrior, and while we do build obstacle courses at the martial arts school I help run, I wondered how to build a backyard ninja warrior course? After all, while we live in the Austin area and there is a ninja warrior obstacle course place there, we actually live about 45 minutes out of town, so it’s not convenient for us. So I decided to do some research on how to build a backyard ninja warrior course. What I found was pretty cool! The best backyard ninja warrior course will include a few homemade items along with some items you get from someplace like Amazon. Ideally, the obstacles will be age-appropriate for the age of your kids, but things that can be adjusted as they grow older and taller. 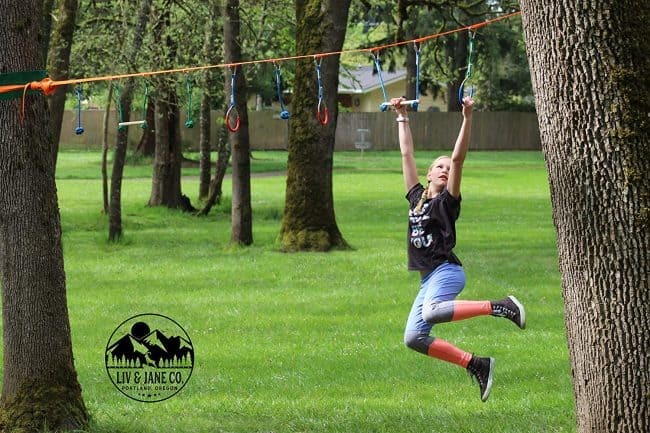 Salmon ladders, quad or quint steps, slack lines, rope tunnels, and maybe even a warped wall all make great additions to your backyard ninja obstacle course. What is a backyard ninja warrior course? 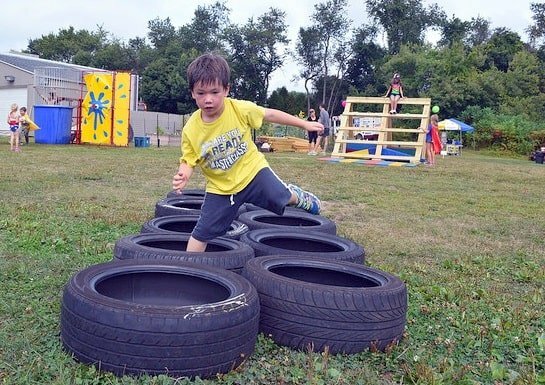 A backyard ninja warrior course is simply an obstacle course you build for your kids to play on. 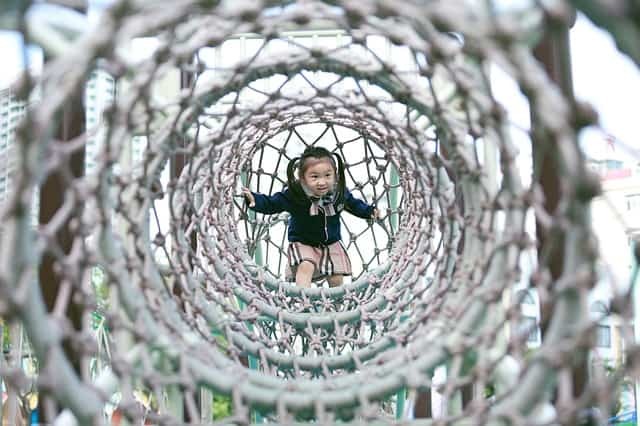 While traditional playscapes, slides and swing sets are great, for more adventurous kids, there’s simply nothing better than a great obstacle course to play on. Don’t worry; we’ll get into all of that below so you can get started building yours today! Of course, the term “ninja warrior” refers to the popular TV show American Ninja Warrior, but you don’t have to spend a fortune on yours or make yours that challenging. Kids naturally love to run, jump, climb, and swing, so learning how to build a backyard ninja warrior course will be something they will treasure (and use) for years to come. American Ninja Warrior is a TV show on NBC that has been going strong for 10+ seasons! It’s based on a popular Japanese show called Sasuke which started in 1997. In the US show, contestants compete against one another to complete a series of obstacles. With each obstacle, the course gets progressively harder. While the show travels around the country, the national finals are held in Las Vegas. If you aren’t sure what this looks like, check out my daughters and my favorite contestant Kacy Catanzaro, who was the 1st woman to qualify for the finals. She started on the show in 2014 and moved on from it in 2017. She’s amazing! Where is the American Ninja Warrior course? As I mentioned above, the show travels across the country and the finals have been held in Las Vegas since season 4. Prior to that, the finals were held in Japan at the Sasuke finals course where the original show holds its finals. How much does it cost to build a ninja warrior course? Of course, professional ninja warrior gyms spend anywhere from $50,000 to $250,000 to outfit an obstacle course worthy of American Ninja Warrior athletes. But for the home DIY enthusiast who wants to make something fun for his kids, you’re looking at somewhere around $500. If you have older kids who want bigger challenges you could find yourself spending closer to $900. And if you have little kids, they’ll be happy with something that costs around $200. Ideally, though, spend somewhere in the middle and build something you can grow and expand as your kids get bigger. What is the best age for kids to do obstacles? Since I have a toddler in the house, but also 2 preteens, I’m in a pretty good position to give you some great insight here. Starting around 12 months, kids begin to walk and work their way up to running, often by 18 months. Of course, there’s a lot of falling involved in the learning process. But it’s important that we, as parents, allow some of that to develop their confidence, resilience, and the ability to learn from their mistakes. By the time they are between 2-3, your kids will start to crawl through tunnels, run, jump, and climb over and under obstacles. Once they turn 3, children start to get a whole lot better at running, jumping, and turning as coordination improves. By the time they’re 5, they’re starting to master their own space, and are learning how not to bump into objects and others when running and climbing. As they get older still, their skills in skipping, hopping, sliding, and things like spatial awareness are all improving dramatically. All that is to say, that learning how to build a backyard ninja warrior course can really happen at almost anytime time once your child is walking. Start with some fun, simple, and small obstacles. You can use simple household items for this like jump ropes and hula hoops. Once they are 4-5 they’ll be ready for a full-blown obstacle course. Then you’ll just keep expanding it as they get older. What are the best types of obstacles for 5-7-year-olds? The age, weight, and height of your kids will make a big difference in terms of what you build. After all, build something too big and too challenging, and your 5-year-old will lose interest and may feel bad about themselves for not being able to do it. Build something too small and too easy, and your 10-year-old will be running back to their screens in no time flat. But balance beams, monkey bars and ramps to run up and jump from are great for this age. Which are the best obstacles for 8-13-year-olds? This age is where you can start to build the really cool stuff. Of course for a real upper body challenge, go ahead and throw a salmon ladder into the mix too (that’s a verticle pull up bar where they jump the bar up from level to level). So below, we’ll get into some specifics about what to buy and how to build a backyard ninja warrior course. If you watch American Ninja Warrior, you often see many of the competitors mentioning parkour (sometimes called freerunning). 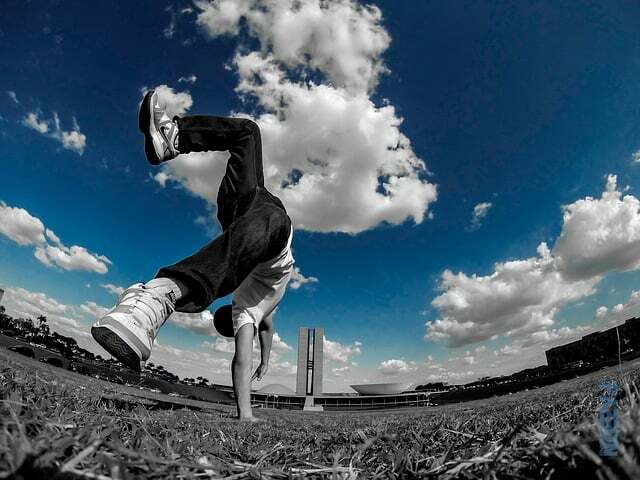 Parkour is not a martial art, but it often looks like it. At the martial arts school I help run, we often incorporate parkour movements into some of the drills we do. Essentially the person is in constant motion, flowing around obstacles and often in an urban setting. The movements are gymnastic, creative but efficient and you use the energy from one movement to flow into the next. You see parkour athletes jumping off buildings, climbing up walls like Spider-Man and doing other seemingly impossible things. So if your kids want to learn parkour, that can really help them become masters of the backyard ninja warrior course you’re building. Just Google and see if there’s a parkour school near you. A vault is a great addition to your backyard ninja warrior course. It can be climbed over or, as the kids get older and more skilled, it can be jumped over. At my martial arts school, we have a 3 level padded vault. The benefits are it’s soft and we can adjust the height to fit the age of the class. The downsides are the velcro attachments don’t hold up well (but we also have 400 students). I also wouldn’t store them outside and for a backyard ninja warrior course, I would ideally get something really heavy or something that can be staked into the ground to keep it from moving. Check ours out though on Amazon if you’re interested, as it is well reviewed and is great for adjusting for 3-4-year-olds. It would work great inside too (especially on carpet). Above is a basic design for making one out of plywood and 2x4s that should be very sturdy and solid and hold up nicely. If you are storing permanently outside, make sure and paint, stain, or otherwise seal it so it will last a while. 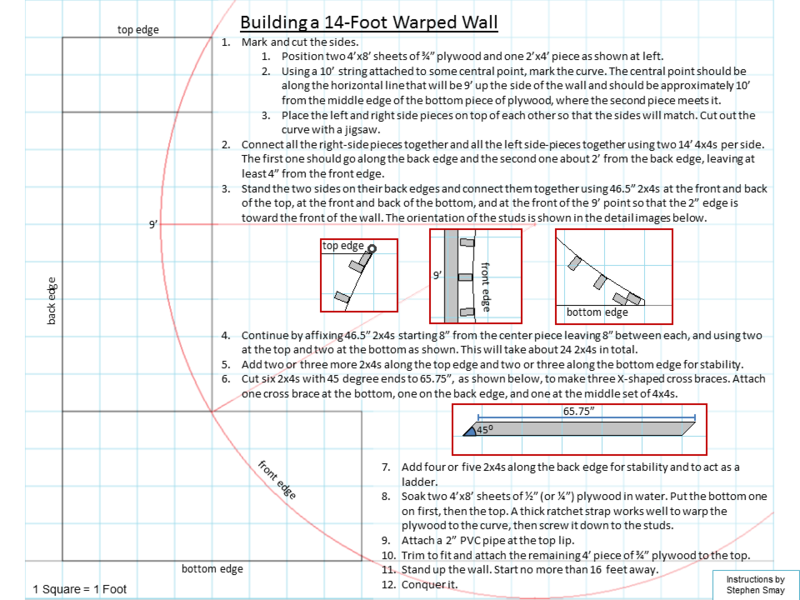 What is a warped wall? A warped wall is a tall wall that curves inward and then back out again at the top. It is designed to run up and then pulling yourself up to the top of it before you start to slide back down. Often these are 12′, 16′ or even taller. Building a warped wall is a pretty advanced woodworking job, so unless you’re a real pro, you may want to skip this one. But for little kids, you could totally make a 4′ one just for fun! You could also take an easier route and simply build (or get) a ramp to run up since a warped wall would typically require you to soak your sheets of plywood to make them more bendable. But here’s some decent instructions on Pinterest that can get you going! What is a salmon ladder? You’ve seen this if you’ve ever watched American Ninja Warrior or the TV show Arrow. Essentially it’s a verticle pull up bar where you jump up a level each time you pull up. It’s called a salmon ladder because you are figuratively swimming upstream. Personally, if you have some really athletic preteens, this would be a great obstacle to add. Because of the force of your body weight coming back down onto the rungs of the salmon ladder, this thing needs to be sturdy. Build the ladder before placing in the ground. Then get a galvanized conduit pipe from the electrical or plumbing section of Home Depot or Lowes to use as your climbing bar. Since the ladder is 42″ wide, to avoid the bar slipping off, get one that is at least 44″ if not even wider and, of course, use caution when using. Make this even easier by getting these metal ladder rung blocks from Amazon Prime that would simply bolt onto your 4×4 posts every 12″. Great reviews and a lot easier to install than cutting wood at an angle and trying to get them mounted evenly. 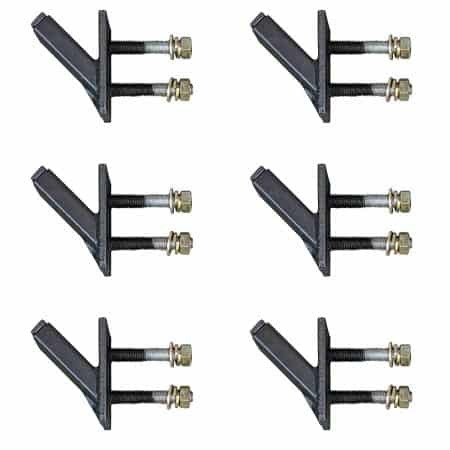 When you go to the Amazon page it does look like you get a whole frame, so just know that the link is just for these 6 pegs. The bolts aren’t included, so just get bolts that are about 5″ in length so you can go all the way through the 4×4 post for the strongest hold. This is a set of 6, so 3 rows, so most likely you’ll want 2 sets. Old tires make great obstacles! Visit local junkyards or tire shops and get some old tires to make great obstacles to jump on and in. This one is honestly the easiest, cheapest, but still very cool backyard ninja obstacle to do. If you can get at least 8, place them side by side as seen in the pic and they are great to jump either into or on top of. If one ever wears out, just get another one the same way. This is great for building agility, coordination, and focus. You could also get larger tires, stand them up on end flat against each other and attach them to each other for a crawling tunnel. Quad steps (or quint or quintuple steps if you’re building 5) seem simple enough, but they’re great for developing coordination, balance, focus and timing. Essentially, you’re building a rectangular wooden table with only 2 legs instead of 4. Thus it lays down on the side without legs at an angle. Then you’ll place at least 2 of them in a row facing opposite each other, slightly offset. To make 4 of them, you’ll need 2 sheets of 4’x8′ plywood (which is actually enough to make 6). Get plywood at least 3/4″ thick. Then you’ll need three 2×4’s that are 8 feet long. With the plywood rectangles flat on the ground, cut the 2x4s to frame the edges of the plywood. Cut a 2×4 to where you have 2 pieces that are 30″ long and place them at the top and bottom on the shorter sides. Then cut 3 pieces that are 29″ long that run the opposite direction inside the 2 end pieces (2 outer and 1 in the middle). With a drill and some deck screws, screw all the 2x4s into each other. For now, we are not screwing them into the plywood. Flip everything over, line up the plywood with the 2x4s and screw the plywood to the 2x4s about 1 screw every 10″ or so. Now you just have to build the feet that extend on one side. Cut a 2×4 to have 2 pieces 37″ long and 1 that is 24″ long. The 24″ piece runs between the 2 longer ones about 8″ from one end (so you’ll end up with an odd shaped “H”). With your plywood and 2×4 base upside down and on a flat surface, place the H shaped brace standing up at one end of the base. It doesn’t matter which end you place it, but the end of the brace with the cross brace 8″ from the bottom should be at the end away from the base. Then just screw in the brace from the outside of the 2×4 frame using 2 screws on each side. Build at least 3 of these or 5 or more for great fun! For better weatherproofing, make sure and use some wood stain or sealer on them unless you plan to bring them inside when not in use. Ninja Warrior Blueprints is a company that sells design plans for ALL kinds of ninja obstacle course obstacles. They truly make great stuff and the plans are fantastic. They even give you free salmon ladder plans when you sign up for their email list. I was speaking with Alex the other day (he and his Dad Scott run the site). He told me he would love to offer my readers 10% off on any purchase. So check out their stuff at http://www.ninjawarriorblueprints.com/ and use the promo code MCD10. It’s not an affiliate link or anything and I don’t get a comission. 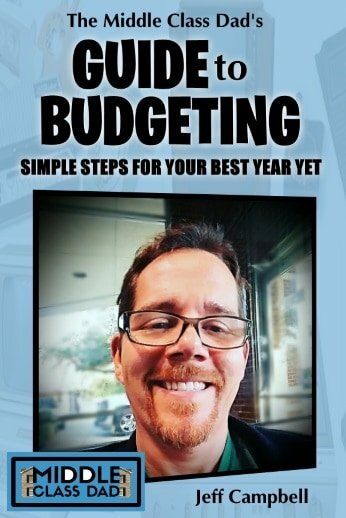 It’s just great products that I know will help make your ninja course even better. Of course, since Amazon rules the world, you can buy a number of premade obstacles there and many of those are well made and well priced. 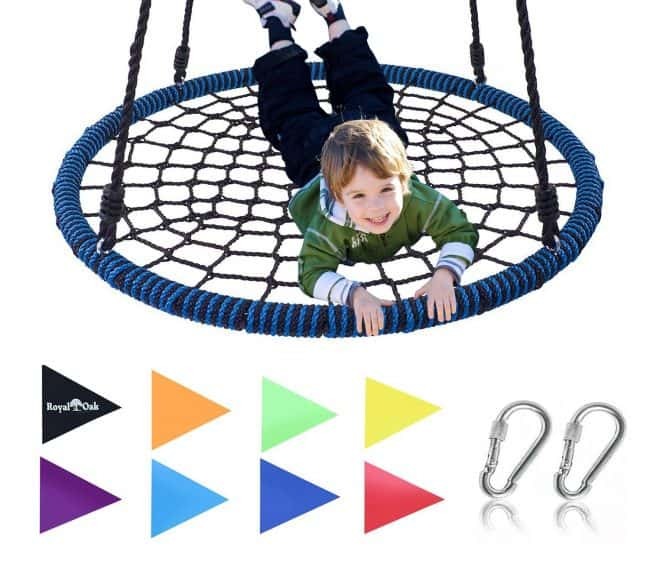 This is great for kids ages 3-10 and works well right in the middle of your course to climb over or through. Heavy-duty steel and weather & rust resistent. Great reviews on Amazon and free shipping. Click to learn more and to check current prices. I have one of these in my yard (granted I put it in towards the end of fall so my daughters haven’t used it much). It’s 48′ long and I have mine tied between 2 trees. This comes with tree protectors and 8 different grips. Take it with you easily with the included travel bag. Designed for ages 7 and up and also has great reviews on Amazon and comes with Prime 2 day free shipping. Check current prices and get more info now! No ninja obstacle course is complete without a net ladder to climb on or over. Like my other recommendations, this too comes with great reviews and free Prime shipping on Amazon. Designed to work in tandem with their Ninja line but you could attach to the Ninja line I mention above and then use tent stakes and stake into the ground. Alternately you could buy 2 of the ninja lines and just string a 2nd one up across the ground to attach this to. Get more info and check current Amazon prices now. 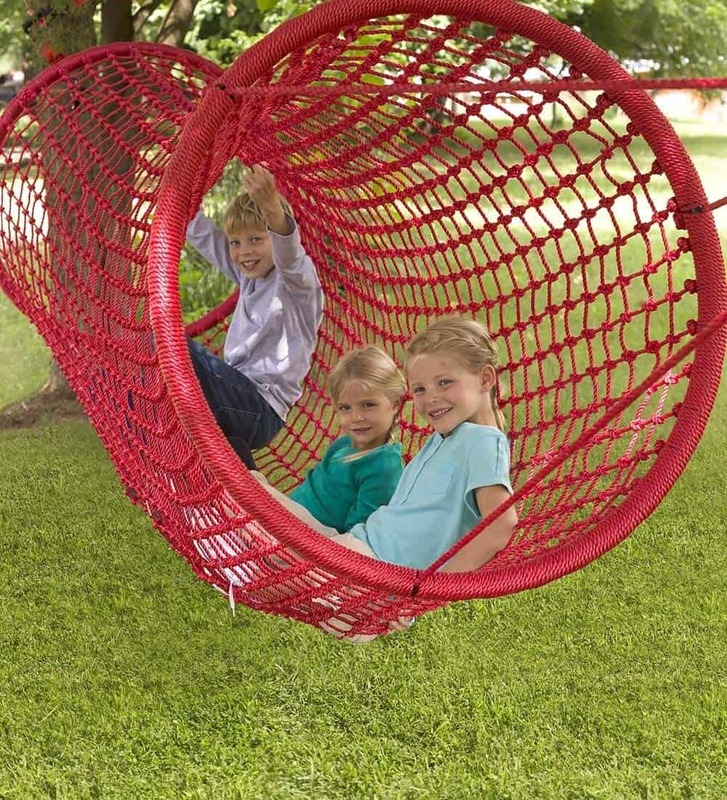 This swing makes a great transition from the ninja net to ninja line obstacle course, but really, it would fit in anywhere. 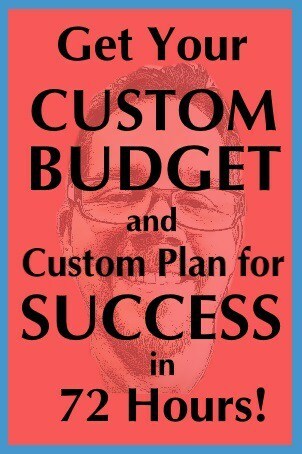 Great reviews and free Prime shipping like almost everything I’ve ever recommended. Hang from a tree branch or swing set and goes up in seconds. I have a small swing that uses the same attachment system and I literally hung it in under 5 minutes with no tools needed. Check out current Amazon Prices now! A rope tunnel bridge is a great transition between 2 stationary obstacles (such as a vault and quad steps. This one has only a few reviews but all are fantastic. 400 lb weight limit and designed to be suspended between 2 trees maybe 15′ to 20′ apart. No trees? I would rent a post hole digger from Home Depot and stick a couple of 4×4 wood posts or metal poles in the ground (about 4′ deep) and just hang this from those. Make sure and check the current prices on Amazon. Comes with free shipping too! Did we cover all the tips you wanted on how to build a backyard ninja warrior course? 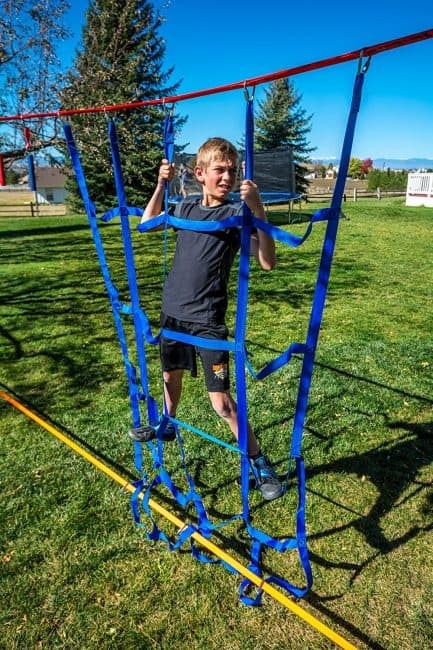 In this post, we took an in-depth look into the world of homemade obstacle courses. We explored a bit of the history behind the phenomenon of American Ninja Warrior as well as why and how you might want something like that in your own backyard to play with. We also get into the costs. So if you’re ready to learn how to build a backyard ninja warrior course, you came to the right place. What part of the course do you and your kids love the most? 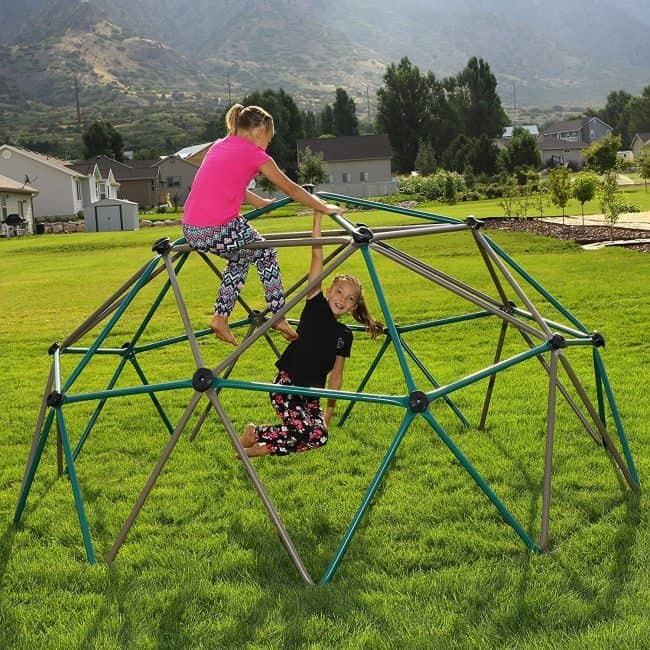 Of course, I have to add that any time you build something that kids will be climbing, running, or jumping on you run the risk of injury. Following my ideas and plans that I have laid out here is in no way meant to imply low risk. Thus, you should follow and use my ideas and plans knowing there is risk involved. I am not liable for any injury and if you are concerned about injury or unsure of your ability to build something sturdy and safe, you should consult a professional in your area to assist.